AURA Observatory International Dark Sky Reserve (Chile), Black Canyon of the Gunnison National Park (Colorado), Bon Accord International Dark Sky Community (Alberta, Canada), Canyonlands National Park (Utah), Capitol Reef National Park (Utah), De Boschplaat (Netherlands), Elan Valley Estates (Wales), Horseshoe Bay (Texas), Lost Creek Development of Distinction (Texas), Pickett State Park and Pogue Creek Canyon State Natural Area (Tennessee), Snowdonia National Park (Wales), Staunton River State Park (Tennessee), Thunder Mountain Pootsee Nightsky (Kaibab Paiute, Arizona), UBarU Camp and Retreat Center (Texas), Weber County North Fork Park (Utah), Westcliffe and Silver Cliff (Colorado) and Yeongyang Firefly Eco Park (South Korea). 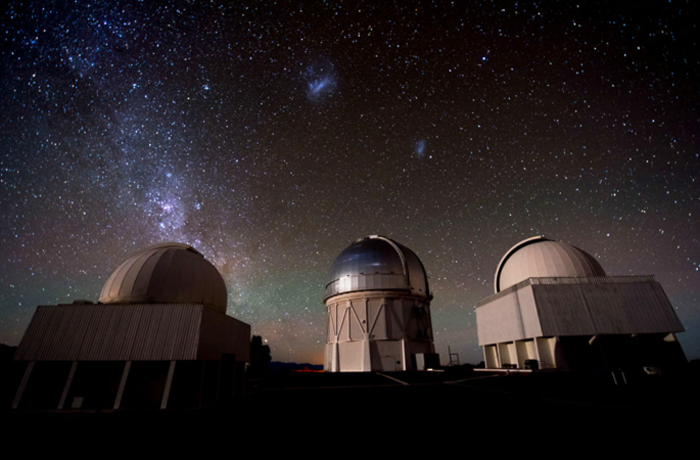 This year the Association of Universities for Research in Astronomy (ARUA) Observatory in the Elqui Valley of northern Chile became the first International Dark Sky Sanctuary in the world. The site is now known as the “Gabriela Mistral Dark Sky Sanctuary” after the famed Chilean poet. The new IDA designation category reflects the need for special protections for the world’s darkest places where nighttime conditions are exceptionally threatened. In certain cases, the public may be excluded from these sites in order to further important conservation priorities. As part of the United Nation’s International Year of Light, the “Cosmic Light” program highlights the importance of astronomy and dark skies. Sponsored by the International Astronomical Union, International Commission on Illumination, and IDA, the program provides resources for educating the public about night sky conservation and the importance of good lighting. The Yeongyang Firefly Eco Park in South Korea is a remarkable achievement in a part of the world with some of the world’s most brightly lit cities. Yeongyang is an island of relative darkness within a sea of light from the southern Korean peninsula. Yet, as isolated as the park is, it’s only a 4.5-hour drive from the capital, Seoul, and is readily accessible to South Korea’s 50 million residents. IDA received a 2015 National Environmental Excellence Award for its innovative International Dark Sky Places program. The award, granted by the National Association of Environmental Professionals, was given for outstanding environmental contributions in the area of public involvement and partnerships. The Dark Sky Places program, established in 2001, uses a positive reinforcement approach to motivate communities to engage in public outreach and implement dark sky friendly lighting that helps taxpayers’ pockets, increases ecotourism, and provides educational and recreational opportunities for locals and visitors. Kaibab Band of Paiute Indians have long held sacred the natural environment of their northern Arizona home including the dark skies over Thunder Mountain, a landform that dominates the reservation landscape and features prominently in Kaibab Paiute folklore. The Dark Sky Community will be officially known as “Thunder Mountain Pootsee Nightsky.” The name recognizes the status of the Kaibab Band of Paiute Indians as a sovereign nation, the importance of Thunder Mountain and the night sky in Kaibab Paiute culture, and the unique language spoken by Southern Paiutes. This year our members and supporters – like you – really made a difference. From spreading the word about light pollution, to heeding our call-to-actions, to generously contributing to our coffers, our allies and advocates help protect night skies for future generations. Thank You! We’re so grateful for our dark sky family.